John Wolter was born in Gisborne in 1965. After extensive overseas travel and living abroad in Australia and Sweden, he settled with his family in sunny Motueka at the top of the South Island. Here he has established a home, studio and gallery. John has been a full time artist for over a decade. 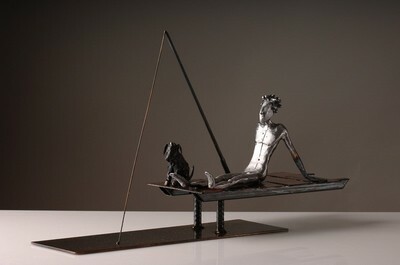 During this time has worked and experimented with a range of mediums including furniture design and metalwork. 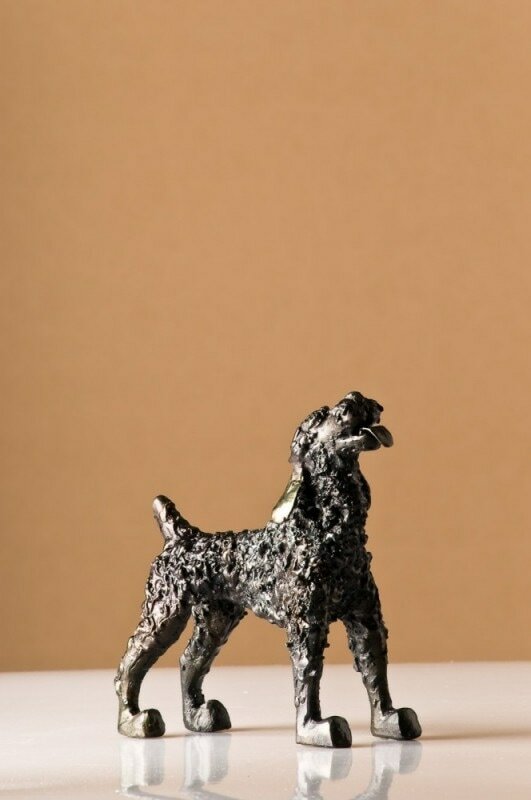 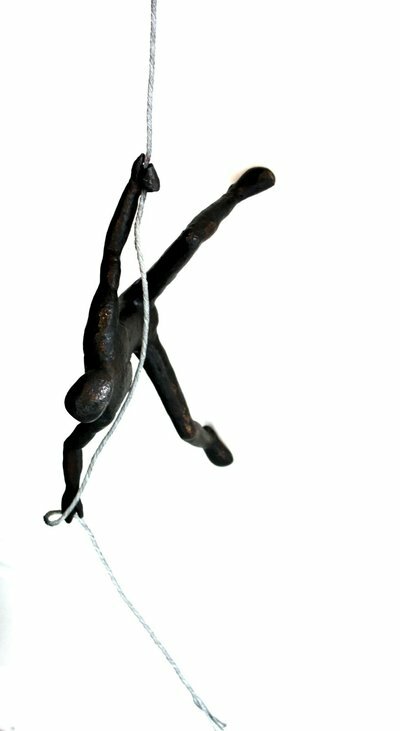 Today the metalwork process is most alluring to the artist and he works predominately in this medium producing one-off sculptural works. 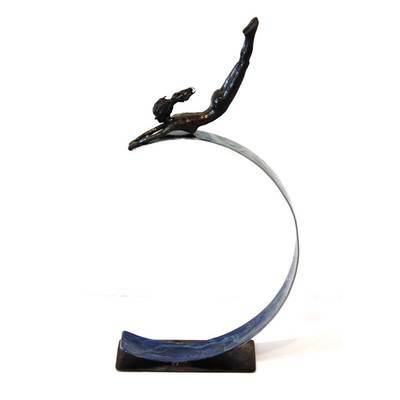 John enjoys the physical aspect of his practice, using hand tools like hammers, grinders and blow torches. The colours produced when heating metals and the expressive curved forms he can achieve from copper and steel offers the artist endless inspiration. 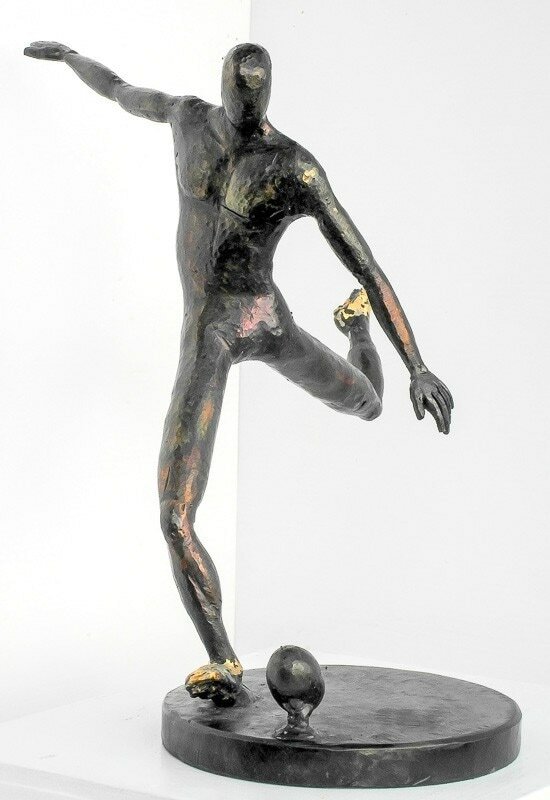 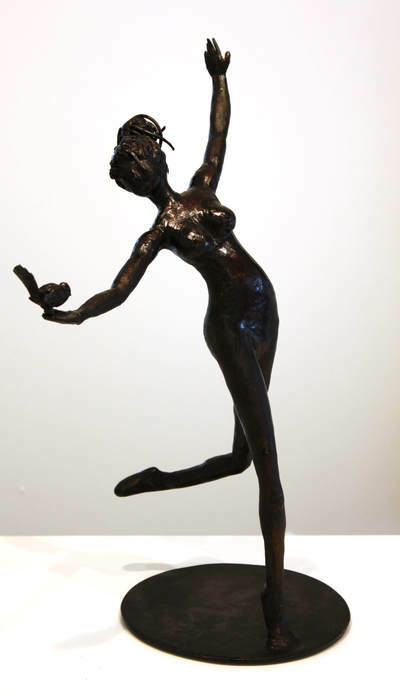 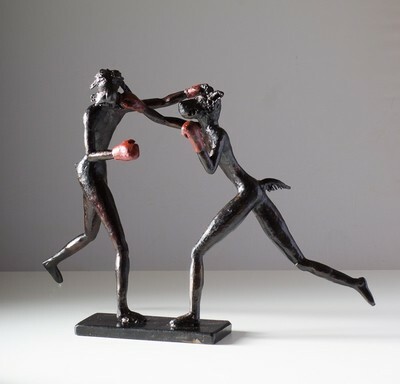 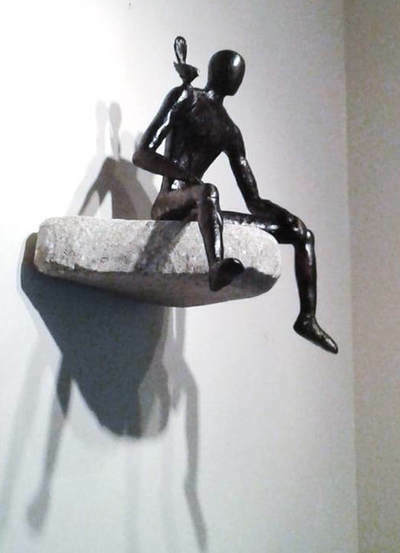 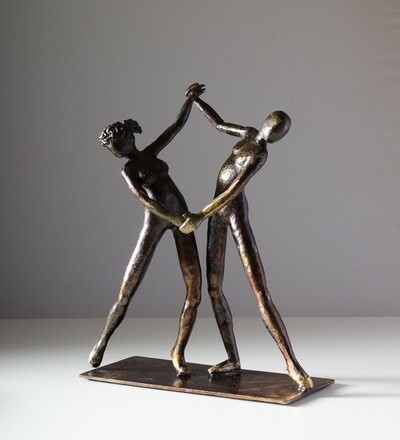 John Wolter has become well known for his series of figures in energetic poses and confident stances, often with an underlying playful narrative. 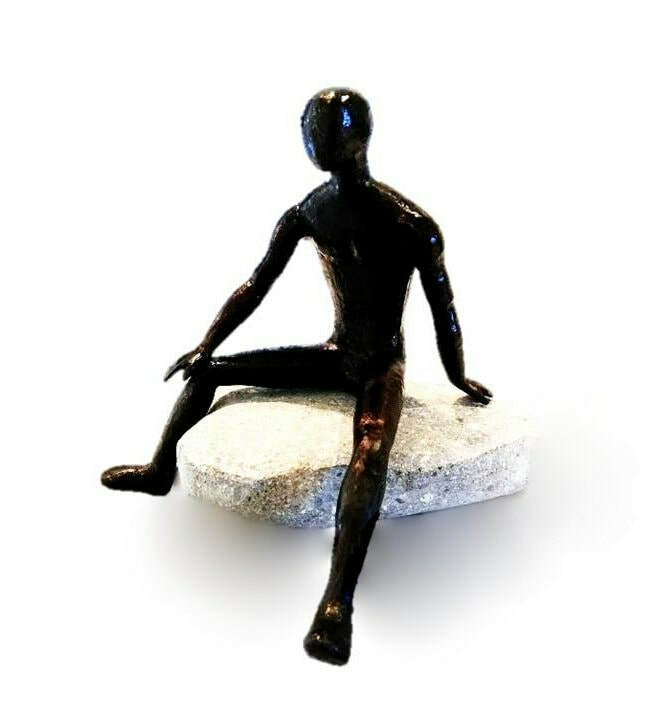 His pieces come to express inner psychology and external physical experience. 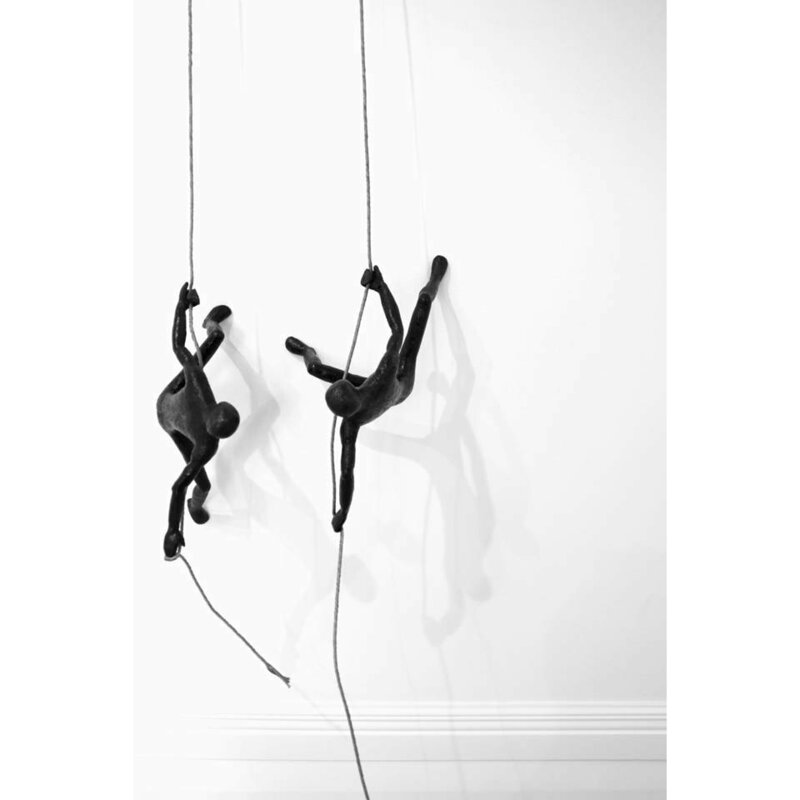 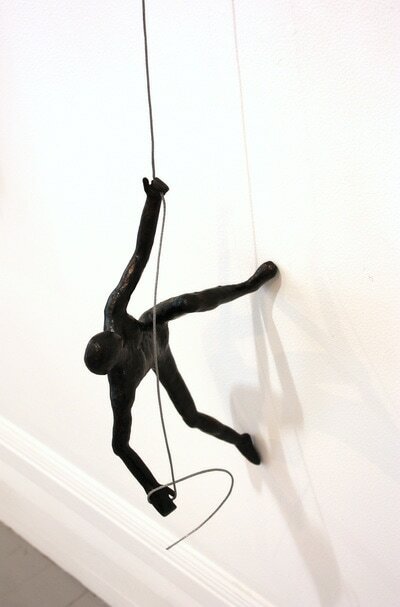 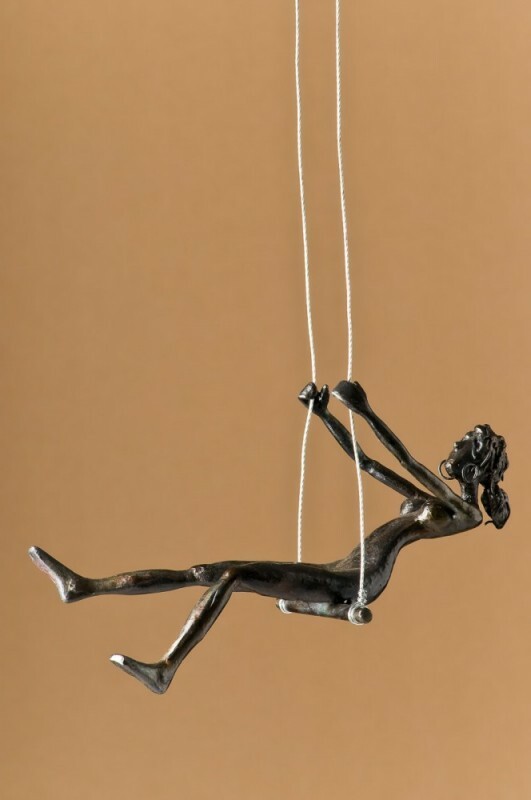 Unique and creative installations frequently accompany his work; figures are suspended from rocky outcrops, sculptures hang from wire to create the illusion of a climber and curved forms come to imply kinetic movement. 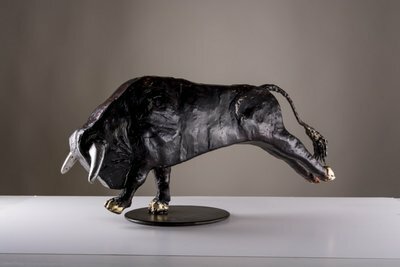 These effects offer a sense of humour and accessible entry point to these technically impressive sculptural works. 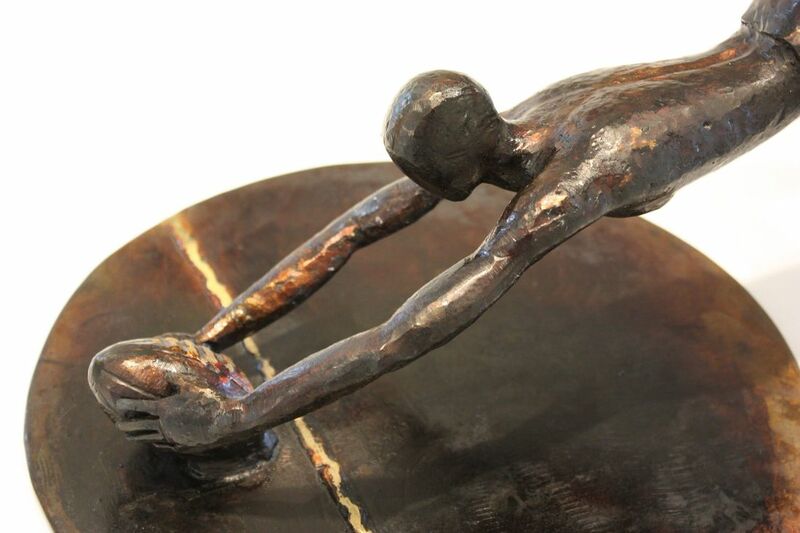 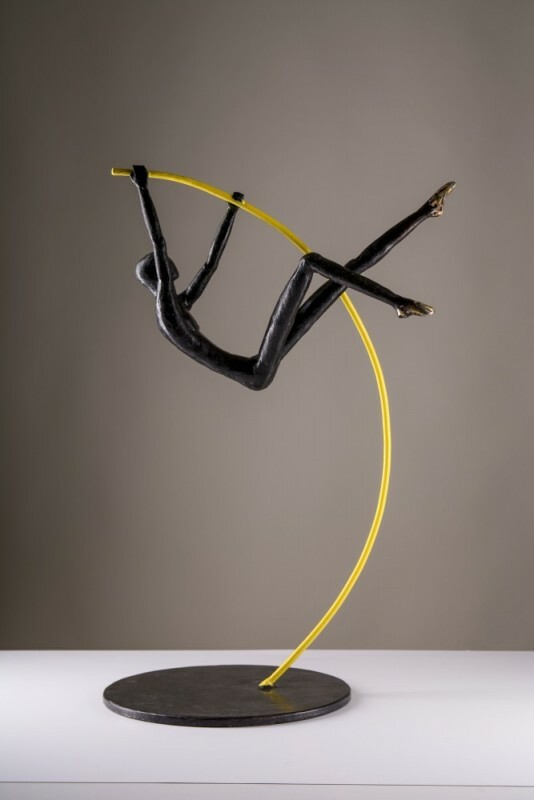 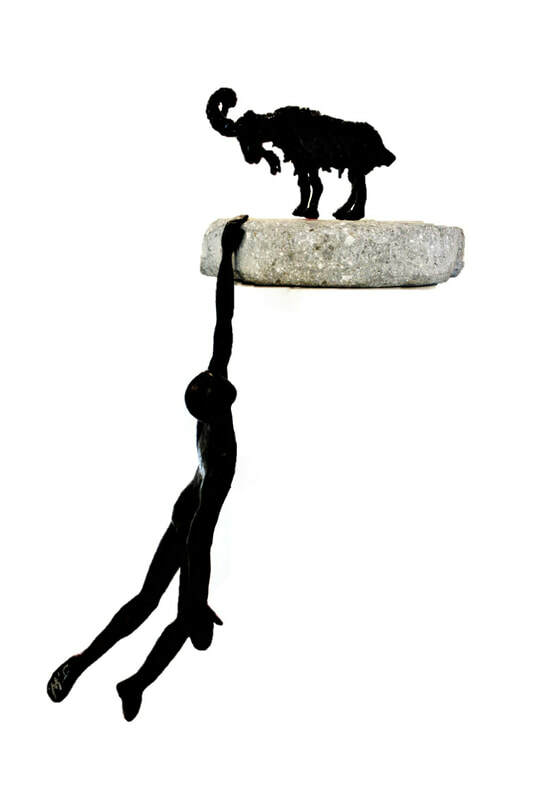 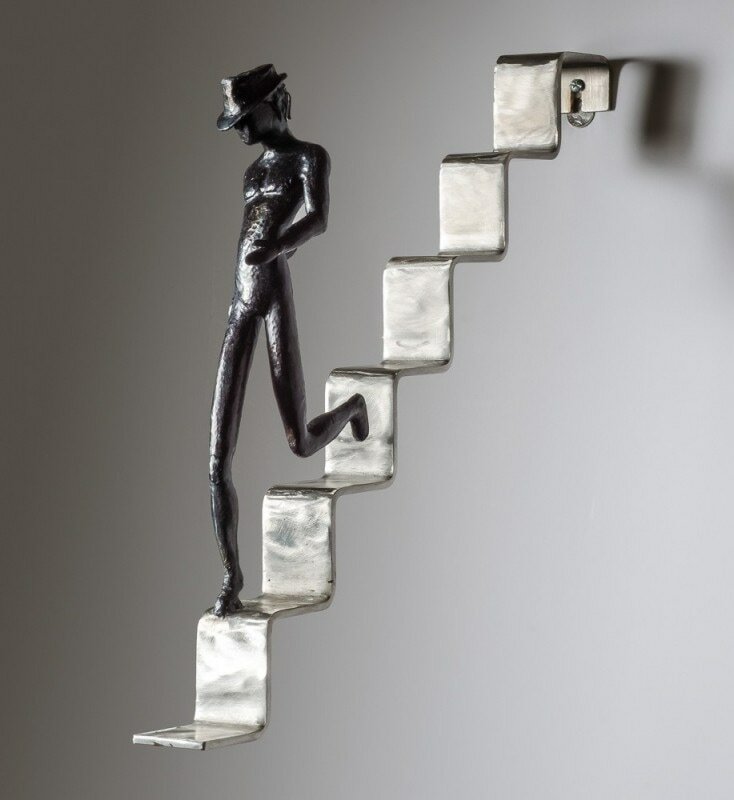 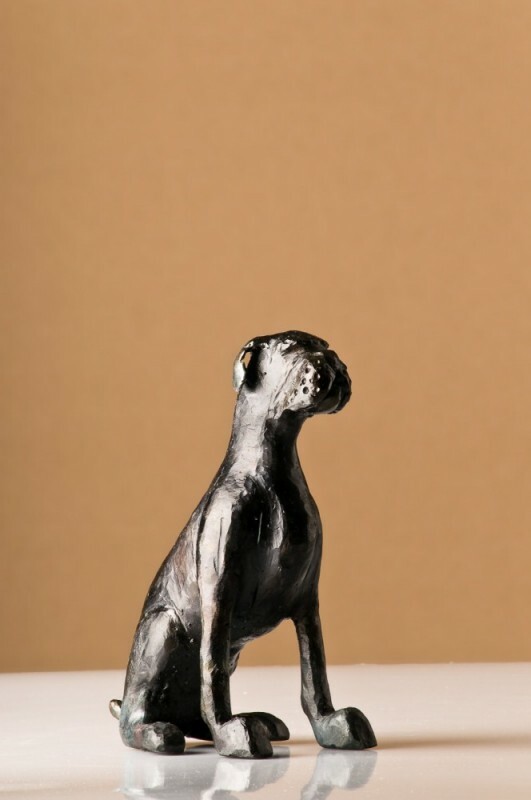 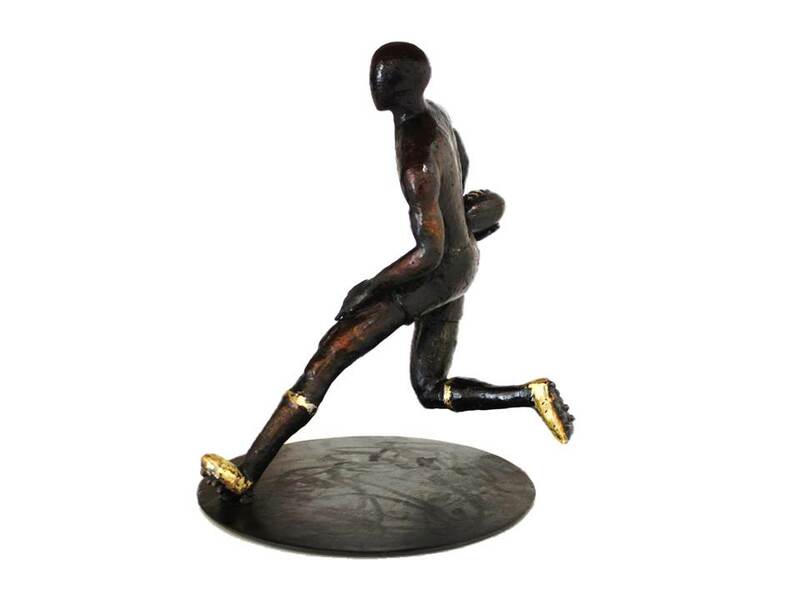 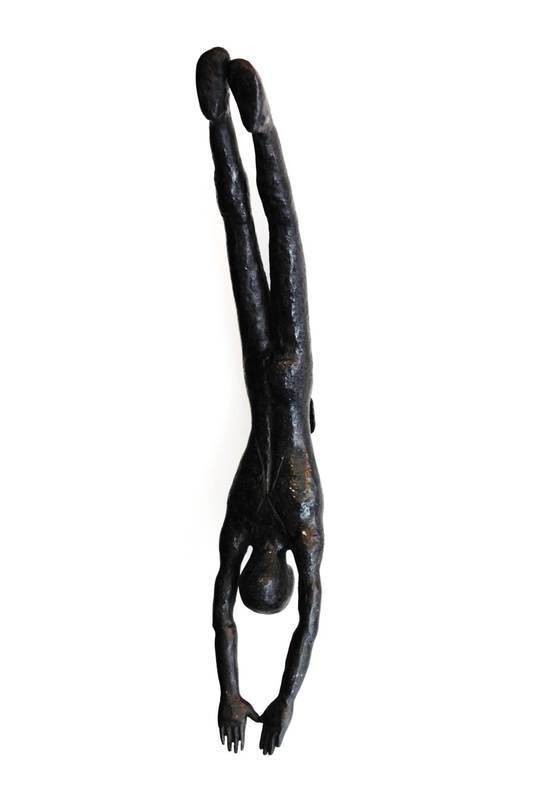 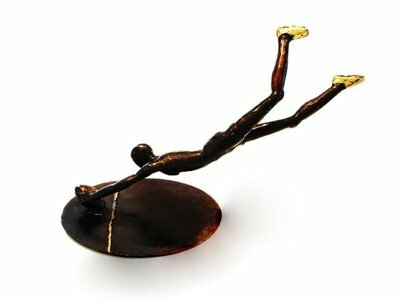 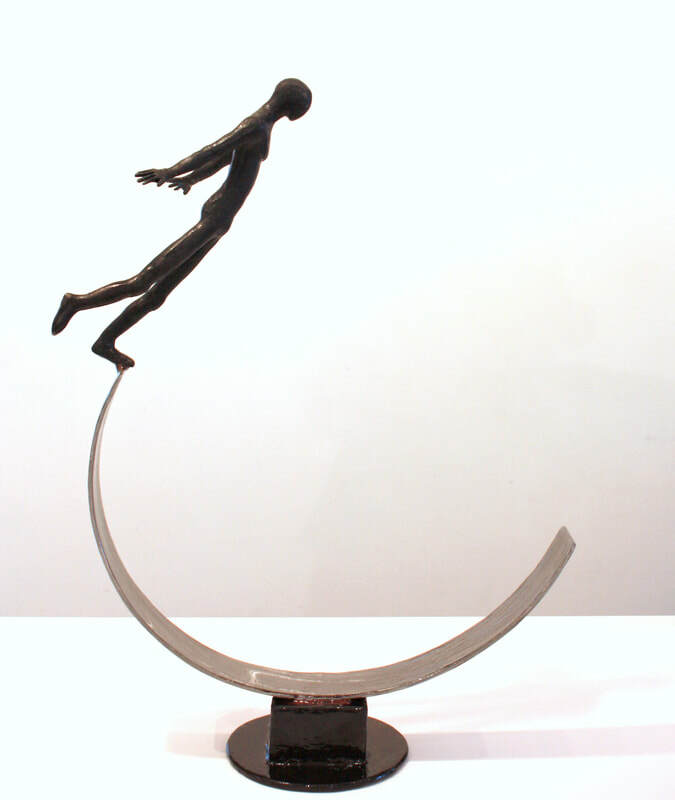 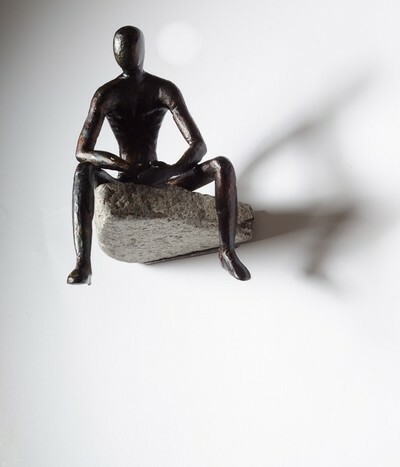 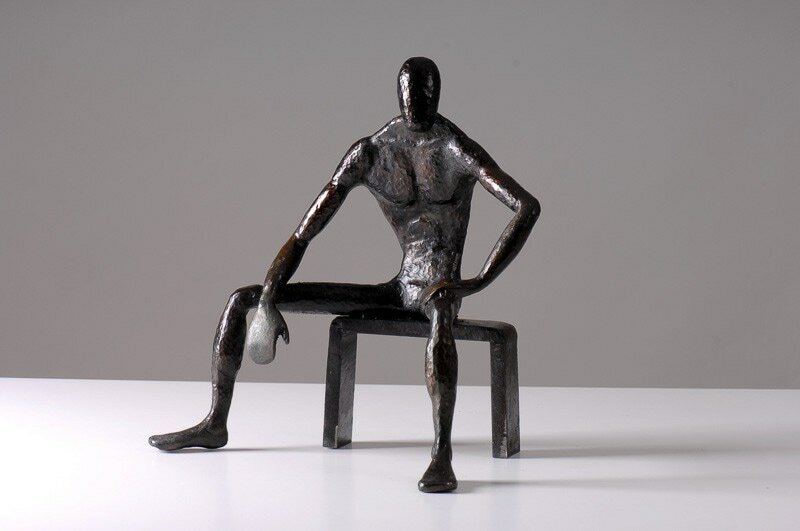 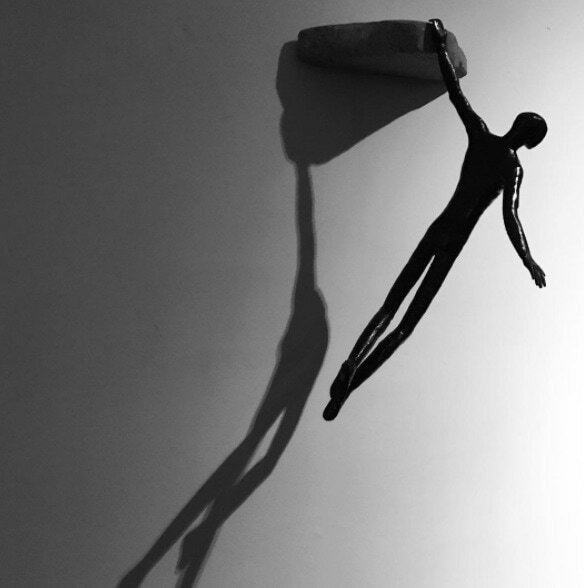 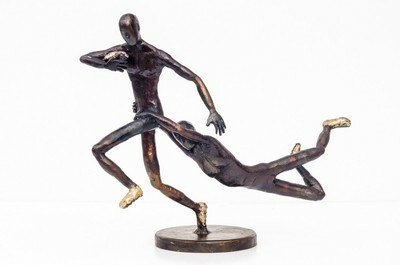 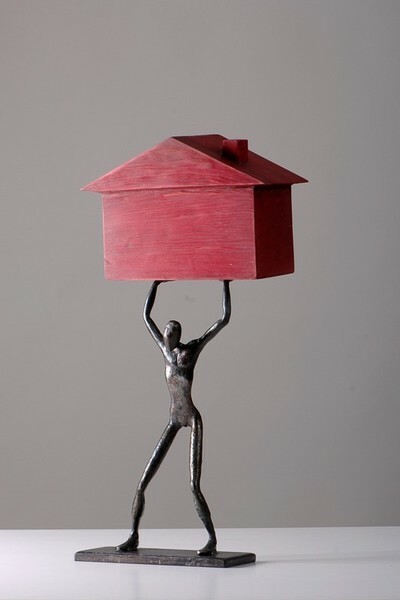 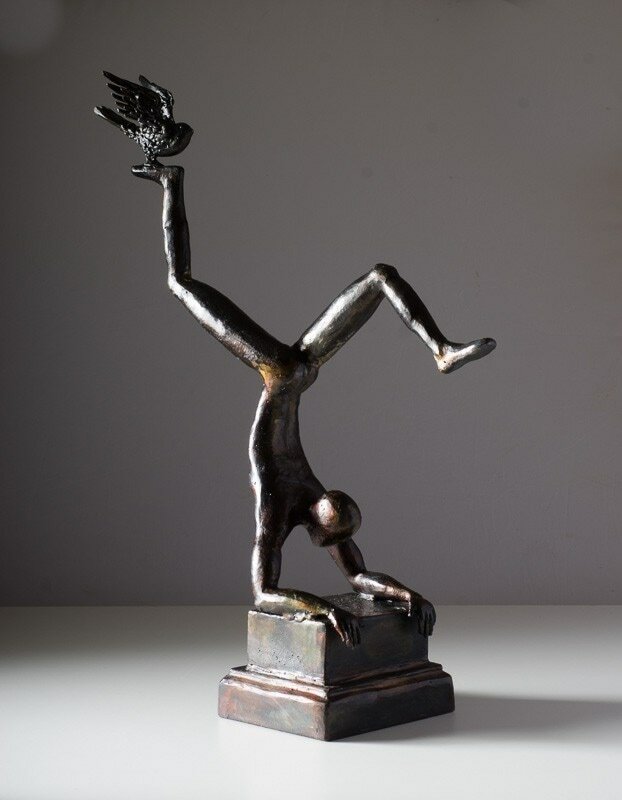 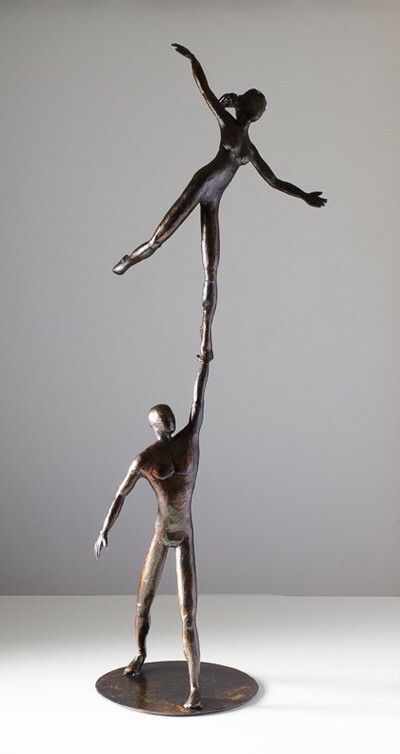 Metalwork Figurines with outstretched poses and poignant stances.